Peers, Frank W. and Susan Harada. "Radio and Television Broadcasting". The Canadian Encyclopedia, 04 March 2015, Historica Canada. 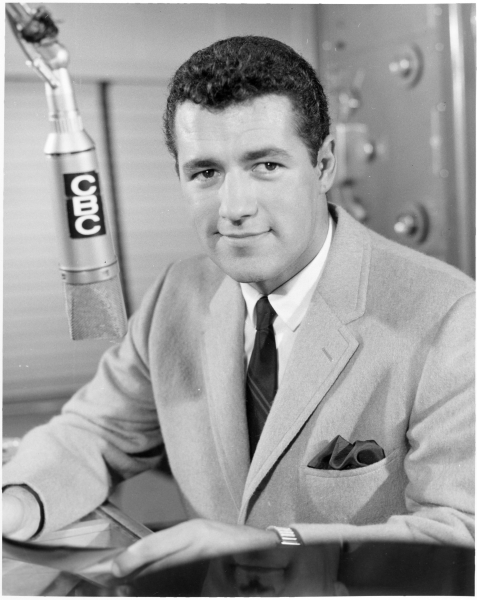 https://www.thecanadianencyclopedia.ca/en/article/radio-and-television-broadcasting. Accessed 25 April 2019. In a northern land marked by long winters, vast distances and a fragmented population, the communication provided by Canadian radio and TV was, from the very beginning, crucial. In 1930, when the radio was becoming the essential device in North American homes, Spry co-founded the Canadian Radio League, a grassroots organization that advocated public control of the airwaves (National Archives of Canada/courtesy CBC). In a northern land marked by long winters, vast distances and a fragmented population, the communication provided by Canadian radio and TV was, from the very beginning, crucial. Before the dawn of the Internet age, broadcasting was not only a principal source of entertainment, it also linked citizens to the world outside of their homes, and helped to develop a sense of community. It was Canadians' public square. Canada developed a more elaborate and advanced physical structure for delivering radio and television programs than could be found in any comparable country in the world. For example, in 1979 the US had 982 transmitters in operation, but Canada, with a tenth of the population, had 1045 (including rebroadcasting transmitters), a number that grew steadily over the years; by 1981 there were 1225 in operation in Canada, and by early 2010 there were 4918 (including digital). Canada was a pioneer in SATELLITE COMMUNICATIONS, and was the first to use geostationary satellites in domestic COMMUNICATIONS. The national broadcasting service, the CANADIAN BROADCASTING CORPORATION, distributes most of its programs nationally by satellites, also using them in the assembling of programs. 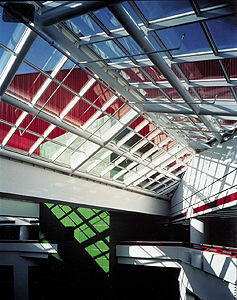 The dramatic centre was the result of 16 years of planning and design. It is one of Canada's most innovative buildings (courtesy CBC). The centre comprises a 1.72 million square foot, 10-storey building, with rooftop television studios, and two basement levels (courtesy CBC). Historically, the weak element in the broadcasting system was rooted not in the physical facilities but in the amount of original Canadian programming (seeRADIO PROGRAMMING; TELEVISION PROGRAMMING; MUSIC BROADCASTING). Over the years, the CBC produced an impressive number of radio and TV programs in English and French, many of high quality; the private TV stations broadcasting in English depended mostly on imported foreign (principally US) programs for prime time. Many of the imported programs were popular, but such dependency led to a continuing struggle to devise public policies that would ensure a more distinctively Canadian broadcasting service. Throughout much of its history, Canada has employed a combination of public and private enterprise, falling somewhere between the strong state-owned element of the British system and the less regulated private-enterprise system of the US. The stages in this evolution can be related to successive Acts of Parliament and to the regulating bodies set up to license stations and to establish and administer the rules. Under the Radiotelegraph Act of 1913, a government minister (for most of this period, the minister of marine and fisheries) had the power to license radio broadcasting stations and to charge a $1 licence fee on each receiving set. The first licence was issued in 1919 (to XWA, an experimental station in Montréal operated by Canadian Marconi Co), and by 1928 over 60 stations were in operation, most of them of low power or providing intermittent service. Regulations were minimal. By 1936, the dominant pattern in the ownership and control of broadcasting had emerged. In 1928 the government established a royal commission, under the chairmanship of Sir John AIRD, to advise on the future of broadcasting in Canada. Canadian radio development had been rudimentary, and many listeners were turning to American stations and the newly established US networks. Moreover, Canadian stations were experiencing greater interference from unregulated frequencies in the US. There were also many complaints about intrusive advertising on the commercial stations in both Canada and the US, and some saw a possible model in the British Broadcasting Corporation. The Aird Commission's report (1929) proposed a publicly owned corporation not unlike the BBC, and its main recommendations were taken up by an active group of citizens organized as the Canadian Radio League. Broadcasting, they argued, should be regarded as a national public service rather than merely as a profit-making industry, and its ownership and operating structure should be organized to recognize this principle. Québec, supported by Ontario, contested the right of the federal government to assume control of broadcasting, and a reference was made to the Supreme Court of Canada with a subsequent appeal to the Judicial Committee of the Privy Council. Its judgement (1932) confirmed federal jurisdiction over radio communication and the content of programs; and a special parliamentary committee was appointed to devise the means for implementing the Aird Commission's recommendations. An Act creating the Canadian Radio Broadcasting Commission (CRBC) was passed with all-party support on 26 May 1932. The 3-man commission was empowered to regulate, control and carry on broadcasting in Canada; to originate and transmit programs; to lease, purchase or construct stations; and eventually to assume complete ownership of all Canadian broadcasting, if the means were provided. In its term of office, the commission was beset by many difficulties. Rt. 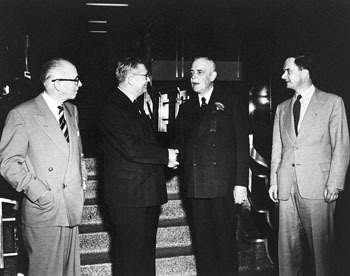 Honourable Louis St-Laurent with officials of the Canadian Broadcasting Corporation, Montreal, 1951 - (L-R): Mr. Donald Manson, Dr. Augustin Frigon, St-Laurent, Mr. Davidson Danton (courtesy Library and Archives Canada/PA-122240). In the depths of the Depression, the government of R.B. Bennett never gave the commission the money to carry out its programming responsibilities satisfactorily. The CRBC managed to establish outlets in only 5 centres; in most cities privately owned stations distributed the commission's network programs. Thus the mixed system, combining public and private stations in one network, was established. It characterizes CBC radio and TV to the present day, although the corporation is now easing out of that system in favour of a solely public network of stations. The weaknesses of the Radio Commission and growing criticism in Parliament led to a new broadcasting Act when the Liberals under W.L. Mackenzie King took office in 1935. The commission had been regarded as too dependent on government; suspicions were aroused that some of its decisions had been influenced by partisan considerations. The new prime minister, at the urging of the Radio League, determined to revise the legislation to reflect more fully the Aird Report and to bring it up to date. By 1936, the year the revised Canadian Broadcasting Act was passed, conditions were considerably altered. The number of homes purchasing licenses for their radios had increased from one-half million in 1931 to 1 million by the end of 1936. Canadians had become accustomed to receiving their own network programs, in English or French, for at least a few afternoon and evening hours. 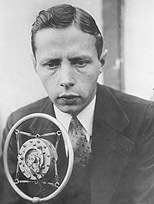 Hewitt broadcast the first game from Maple Leaf Gardens in 1931 and, from that time, his play-by-play descriptions became familiar to fans from coast to coast. There was no thought in government of abandoning the national experiment. But the private radio stations had not only survived, they had prospered. Private radio provided music, weather and community information. Most private stations also carried popular American entertainment programs, with which Canadian advertisers were eager to be associated. In November 1936 the Canadian Broadcasting Corporation, with a board of 9 governors, replaced the Radio Commission, and it enjoyed much greater autonomy. Financed by an increased licence fee, the CBC took vigorous steps to increase Canadian coverage through high-powered regional transmitters. It also expanded the national program services by broadcasting many more hours each week, incorporating in its schedule some imported programs from the US networks. By 1944 it operated 3 radio networks, 2 in English (Trans-Canada and Dominion) and one in French. The Canadian Radio Broadcasting Commission, precursor of the CBC, began broadcasting from Montréal in English and French. 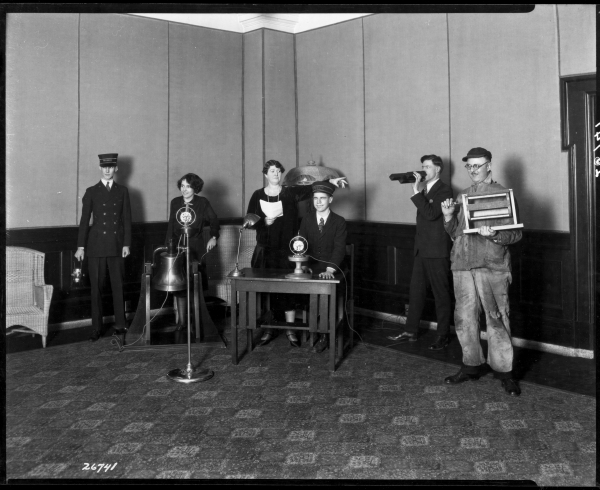 Depicted is a radio drama from the 1930s (courtesy NAC). 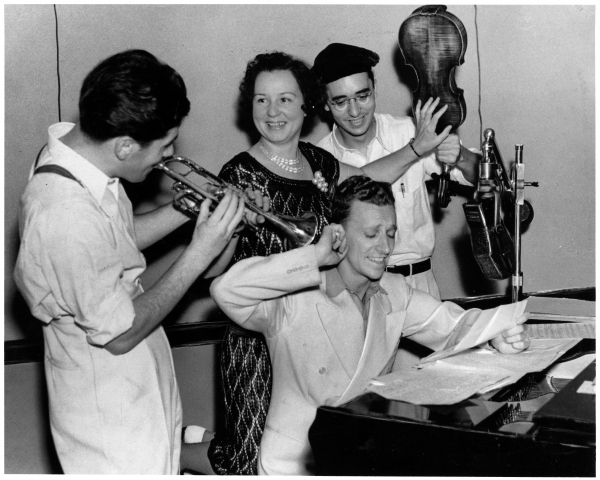 The private radio stations were not allowed to form their own national network, although under the rather liberal regulations of the CBC they indeed thrived. There were some complaints about the CBC's alleged monopoly position, but successive parliamentary committees and the Royal Commission on NATIONAL DEVELOPMENT IN THE ARTS, LETTERS AND SCIENCES (Massey Commission) all expressed approval of the governing system and of the contribution of the CBC to Canada's cultural life. The arrival of TELEVISION in 1952 foreshadowed an end to the system under which the CBC was at once the regulatory authority and the principal Canadian programmer. Television began under CBC auspices, as the Massey Commission had recommended, but the twin responsibilities of program production and national distribution were so expensive that the government of Louis St-Laurent decided against construction of CBC outlets in every province. CBC-TV could not be self-sufficient, as was BBC-TV in Britain. Once more, private-station licensees were expected to distribute the national programs provided by the CBC. It must be said that the policy adopted by the government in the mid-1950s, of authorizing only one station, public or private, in the principal Canadian cities, was extraordinarily successful in spreading TV service rapidly across the land. However, appetites for additional TV outlets were so quickly stimulated that a one-station policy for each city could not be maintained, and a Royal Commission on Broadcasting (Fowler Commission) in 1955-57 led to new legislation. The Broadcasting Act of 1958, replacing the legislation of 1936, was introduced by the Conservative government of John Diefenbaker. During the previous decade the Canadian Association of Broadcasters, representing most private radio and TV stations, had conducted a vigorous campaign to convince the public that it was unjust to have the same public body (the CBC) as operator and as regulator of its private competition. This argument persuaded the Progressive Conservative Party to abandon its support of the 1936 legislation and to proceed with the new Act. It continued to treat all broadcasting in Canada as a single system, with a 15-member Board of Broadcast Governors assigned the responsibility of regulating "the activities of public and private broadcasting stations in Canada and the relationship between them" and "ensuring the continued existence and efficient operation of a national broadcasting system." The BBG was to hear applications for new stations and make recommendations to the government minister who issued such licences. Despite the BBG's regulatory authority, the CBC continued to have its own board of directors under the Act, and continued to report directly to Parliament. Under the BBG, the TV system expanded rapidly, and radio became more a local and community service, except for the radio networks of the CBC. 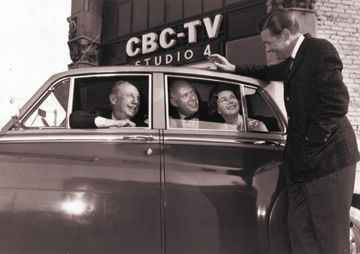 A second TV network, CTV, consisting of second stations in the larger Canadian cities, began operations in 1961, and the CBC-TV networks in English and French continued to distribute programs, partly commercial and partly unsponsored, through CBC-owned stations and a larger number of private affiliates. The 1958 legislation had brought about disputes between the 2 public agencies, the BBG and CBC, and in 1968 a new Act was passed to correct some of the ambiguities. The authority to issue licences was delegated to the Canadian Radio-Television Commission, and the new legislation brought CABLE TV, already securely established in a number of cities, under the authority of the new regulatory body, the CRTC (in 1976 renamed the CANADIAN RADIO-TELEVISION AND TELECOMMUNICATIONS COMMISSION, also CRTC). The CRTC was more active than the BBG in trying to ensure that radio and TV stations and networks (in the words of the Act) "should be effectively owned and controlled by Canadians so as to safeguard, enrich and strengthen the cultural, political, social and economic fabric of Canada," and also that the programming provided should be "of high standard, using predominantly Canadian creative and other resources." The CBC had no difficulty in meeting or exceeding the Canadian-content quotas imposed by the CRTC, but the private stations and networks barely met the minimum standards, especially in prime time. Added to the effect of importing American TV by cable, the result of these minimum standards was that more US than Canadian programs were available to Canadian audiences. The CRTC clearly did not intend to increase the share of viewing time going to American TV programs, but that was what happened. There were several explanations. Most important was the decision, influenced by public demand, to license cable systems in all parts of Canada to import, first, the principal US networks, followed in succeeding years by numbers of other US cable and pay-TV channels. Thus, US program services (ABC, NBC, CBS, PBS, the Fox Network, CNN and various specialty channels) became available almost everywhere. Adding to the locally available domestic stations and networks, the CRTC licensed Global Television (which aspired to become the third national network for English-speaking viewers), and 2 dozen or more specialty channels, offering news, popular music, sports, arts, natural science and youth programs, as well as movie channels (the latter on pay-TV). The result was a fragmentation of the market, so that neither the CBC or CTV captured the audience they once had. Moreover, because of the CRTC's loose definition of prime time as the hours from 6 PM to midnight, the private broadcasters were allowed to cluster their American programming within the peak hours, between 7 and 11 PM. All this increased the share of audience watching US programs to about 75% among those receiving English-language programs. The situation was not as serious in French-speaking Canada, where about 60% of TV programs were Canadian in origin. Even in Québec, however, the share of non-Canadian viewing grew. The CBC continued to distribute a great deal of Canadian programming, on both television and radio, English and French, regional as well as national. Unlike the private stations, its television networks in prime time remained predominantly Canadian in content. In Québec, the private television network, TVA, split its program offerings more evenly between Canadian and US services, and was therefore an important contributor to the program fare provided to French-speaking viewers. Whether broadcasting could help preserve Canada's cultural sovereignty remained unresolved in the mid-1990s; the question grew in complexity as technology advanced. Canada had built the biggest physical system in the world, but in large part had turned it over to the US entertainment industry. Canadian governments began searching for a way to establish a national information grid using all the possibilities of a modern TELECOMMUNICATIONS system. 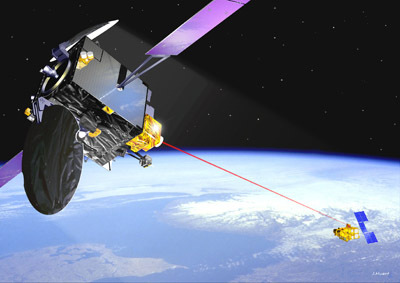 As for broadcasting, there was the future prospect (as of March 1996) of satellite-to-home distribution systems as an alternative to cable. In 1985 a new Conservative government appointed a task force under the co-chairmanship of Gerald CAPLAN and Florian Sauvageau to advise it on changes that should be made in broadcasting policy. The 7-member task force brought in a unanimous report. All broadcasting undertakings, they said, should be part of a composite system, and all licensees regarded as trustees of the Canadian public - a principle established by former bodies such as the Massey and Fowler Commissions. The CBC should have a central role in ensuring that Canadians had a truly Canadian broadcasting system; any new statute should continue to recognize it as the national broadcasting service, in both radio and television, in English and in French. Its basis of funding should be secure, for the same period as its station and network licences. CBC television might remain partly commercial, but as soon as possible should phase out its American programming. The CRTC should set conditions of licence to ensure that private stations and networks would in future commit greater resources to Canadian programs. The task force also recommend that some degree of state support and protection for the entire private sector should be provided, in return for which each component would contribute to the objectives of the broadcasting system. In fact, the private television sector had public support benefiting it in 2 principal ways. Under the policy of simultaneous program substitution, the CRTC authorized cable companies to substitute a local station's broadcast of a US program, complete with the commercials sold by the Canadian station or network, if scheduled at the same time as the program was available from a US source. In this way, the Canadian broadcaster benefited from the increased size of audience and the attendant costs for Canadian productions were reduced by financial assistance given through Telefilm Canada and its Broadcast Fund. The report of the task force was reviewed at length by all-party committees of the House of Commons, prior to the passing of a new Broadcasting Act early in 1991. In general, the legislation accepted the Caplan-Sauvageau recommendations regarding the objectives for Canadian broadcasting, and the CRTC accepted a recommendation that the CBC be licensed to provide an all-news channel (Newsworld in English, RDI in French). However, the government refused to act on the recommendation for longer-term and stable funding for the CBC. Successive cuts in CBC appropriations begun in 1986 in fact led to increasing reliance by CBC on advertising revenue. A Liberal government elected in 1993 promised stable, multiyear funding for the CBC, but this did not happen. In 1995 the Minister of Canadian Heritage asked a 3-member committee (under the chairmanship of Pierre Juneau) to review the mandate of the CBC, the National Film Board and Telefilm, and their performance. In its report (Making Our Voices Heard) the Mandate Review Committee asked for a largely non-commercial CBC, continuation of its satisfactory radio performance, improved performance in television, and (once again) a multiyear system of funding for the CBC, to replace annual parliamentary appropriations. This recommendation was taken under consideration by the government of Jean Chrétien in a period when the existence of Canada as a unified federation seemed fragile, but ultimately it went nowhere. There continued to be mixed signals over how the challenge of maintaining a strong Canadian cultural presence in the face of the technology explosion was to be met. On the one hand, the Liberal government's war against the federal deficit meant stable, long-term CBC funding remained elusive. CBC president Anthony Manera's resignation in 1995 to protest cuts to the corporation's budget had little practical effect, though it did raise anew the issue of the public broadcaster's capacity to fulfill its mandate to actively contribute to a distinct national identity. On the other hand, a major Chrétien government initiative exploring the implications of the information highway was driven by a policy objective of reinforcing Canadian sovereignty and cultural identity. 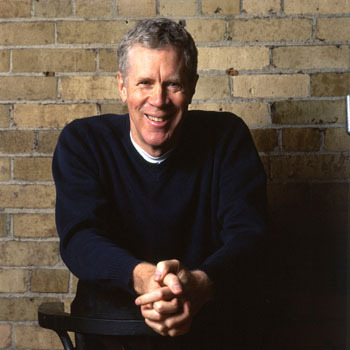 Journalist Stuart McLean, producer of the award-winning radio program The Vinyl Café (photo by Ben Flock). As the 20th century drew to a close, the already busy communications landscape was becoming increasingly crowded and complex. The escalation of technical capacity in the 1990s alone surpassed all of the gains made during the hundred years that followed the first long-distance phone call. And true to industry predictions, the burgeoning technology turned traditional notions and usage of "broadcasting" inside out, fragmenting audiences and making cultural borders ever more porous. Framed within that wider challenge, the longstanding debate over whether and how the CRTC should flex its regulatory muscle in the interests of opening up broadcast possibilities while simultaneously safeguarding Canadian culture was pushed once again to the forefront. Up to that point, the CRTC considered its conventional over-the-air (OTA) television regime largely successful. Based on its data, it claimed markers of success such as an increase in viewership (from 27 to 33%) of English-language Canadian programs between 1992-1997, coupled with research showing that 8 of the top 10 French-language programs in Québec were Canadian; and greater availability and larger viewership of English-language drama, largely attributed to the "Canadianization" of the CBC's prime time schedule. Seeking to build on these positive indicators, the CRTC held a series of consultations to review its policies connected to private television, and in 1999 released Building on Success - A Policy Framework for Canadian Television. It laid out the 5 principles underpinning its refurbished regulatory framework: an emphasis on airing Canadian programs in peak viewing times; an expansion of priority program categories; the provision of credits for Canadian drama; a requirement for local and regional reflection; and the maintenance of the existing requirement levels for Canadian content. The CRTC's regulation of Canadian content unfailingly ignited controversy over the years, and the debate continued into the 21st century. The 1999 TV policy added fuel, with some arguing that it still provided insufficient protection to distinct Canadian drama programming. As noted in the Heritage Committee's 2003 report, Our Cultural Sovereignty: The Second Century of Canadian Broadcasting, critics felt the regulatory body's TV policy allowed private broadcasters to bury Canadian content, to substitute drama for cheaper programming such as reality shows, and to give top billing to American shows in prime time. Another report, Dramatic Choices: A report on Canadian English-language drama, prepared for the CRTC and Telefilm Canada in 2003, judged the situation "alarming." Unsurprisingly, the issue remained unresolved, and calls for and against increased financial and regulatory support for distinct Canadian programming continued unabated. Just as distinct Canadian drama was considered a significant marker for the television broadcast industry, the strength of the Canadian music industry was viewed as a success indicator for the radio sector. By that standard, the CRTC was generally judged to have managed the regulation of radio well, even given both the growing challenges as the broadcast landscape shifted, and the longstanding debate about whether the commission should mandate content at all. Canadian content requirements for popular music selections were introduced by the commission in 1971; as the 1990s drew to a close, these requirements continued to be a cornerstone of the CRTC's regulatory approach. In 1998, the CRTC reviewed its commercial radio policy, and boosted requirements: the weekly minimum for Canadian popular music went from 30% to 35% for English-language radio, and from 55% to 65% for French-language broadcasters; the daily 6 am - 6 pm minimum for English-language was set at 35%, and 55% for French-language radio. It should be noted that tracking was sporadic, and it remained difficult to measure compliance rates over the years; however, the CRTC requirements were credited with fostering the Canadian popular music industry at a key time in its development. In 2006, the commercial radio policy was revisited, and in spite of dissenting opinions (including 2 formal dissents from CRTC commissioners) which suggested the requirement be increased, in particular on the more successful FM band, the majority of CRTC commissioners opted to leave the 1998 commercial radio percentages unchanged. In contrast, the Canadian popular music requirement for CBC/Radio Canada stations was set at a 50% or more weekly target. By the end of 2008, Canadians had over 1200 radio/audio services to choose from, with 60% provided by private broadcasters. 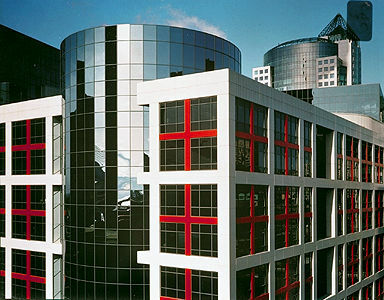 The CBC/SRC provided nearly 10% of overall services through its 4 national services (Radio One and Radio Two in English, La Première Chaîne and Espace musique in French) as well as its domestic northern service, its international service (Radio-Canada International), its audio service (Galaxie), and its partnership in a satellite radio service. In spite of the proliferation of alternate delivery means through digital technology, satellite radio and Internet-based platforms, CRTC data showed that listening levels generally held fairly steady for conventional private radio, and as a result, advertising revenue remained a major component of overall industry profit. Seventy-two percent of overall English-language revenues went to the 5 biggest private operators, and 82% of overall French-language revenues went to the 3 largest private operators. The revenue concentrations were a reflection of the ownership concentrations, which had been growing steadily. The CRTC's 1998 regulations paved the way for consolidation, so as to allow the industry to "strengthen its overall performance, attract new investment, and compete more effectively with other forms of media." In spite of concerns raised that local news programming would be adversely affected, the regulations allowed for one owner to control up to 4 stations in larger markets, and 3 in smaller ones (no more than 2 per frequency band). When the radio policy was revisited in 2006, the CRTC retained the one-third local programming requirement for competitive market FM stations as well as the case-by-case system for AM stations. However, it sought to address concerns about local programming by specifying that programming must include local news, weather and sports material "that originates with the station or is produced separately and exclusively for the station" while excluding, for example, "programming received from another station and rebroadcast simultaneously or at a later time." When it reviewed its ownership policy in 2008, the CRTC acknowledged that market dominance was more than simply an economic issue - that it carried social and cultural implications as well. Still, the commission concluded that the "diversity of voices" in the commercial private radio industry was adequate, and decided against a policy change. 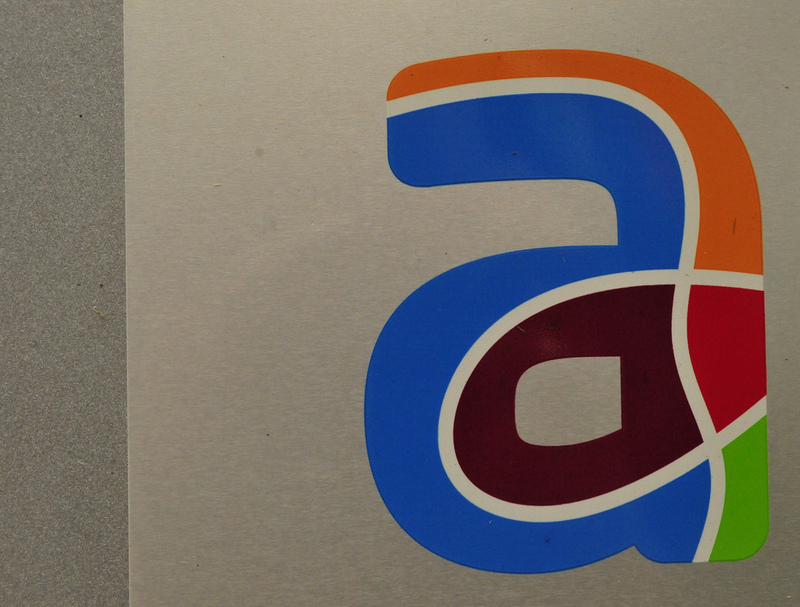 It reached the same conclusion with respect to its common ownership policy for OTA television, which as a rule allowed one owner to possess one conventional single-language station in one market. It was in connection with other issues, such as cross-media ownership, common ownership of discretionary TV services, and common ownership of broadcasting distribution undertakings (BDUs) serving a single market, that the CRTC announced regulatory change. With no previous policies to deal with these matters, the commission introduced rules designed to prevent a single owner from dominating any local television broadcasting market, which included discretionary and OTA services, and also to prevent one owner from controlling all cable and satellite companies in any given market. With respect to cross-media ownership, it introduced rules to prevent one entity from controlling more than 2 types of local media (radio station, TV station, newspaper) serving the same market; anyone who already controlled a local radio and local TV station who then acquired a local newspaper would have to justify radio or TV licence renewal at "the earliest opportunity." This cross-media ownership policy left the door open to consolidation, and was harshly criticized in some quarters. There were fears that the trend toward media concentration which began at the turn of the century would accelerate, constricting the range of journalistic and editorial choice available to Canadians. When the economic downturn hit in 2008/2009, media conglomerates were forced to reassess the assets they had accumulated over the past decade. The downturn came on the heels of a seismic shift in the traditional network TV business model. The anticipated "economies of scale" from media concentration had largely failed to materialize; meanwhile, lines continued to blur between delivery platforms, audiences continued to fragment, and advertisers retreated. As the industry scrambled for solutions to soften the impact on financial bottom lines, the CRTC was drawn into the fray on behalf of consumers. In September 2009, the Conservative government directed the commission to hold public hearings into "fee-for-carriage" - the ongoing issue of whether cable and satellite companies should pay OTA broadcasters for the distribution of their local signals. The CRTC was ordered to consider the impact on consumers and their access to local news programming, should a fee system be implemented. On the one side was the threat that financially unsustainable small-market TV stations would be shut down should broadcasters be denied the fees; on the other side was the threat that distributors would simply pass on the extra costs to consumers. As 2009 came to an end, the CRTC also faced the issue of the transition to digital television in Canada. It had set August 31, 2011 as the switchover date from analog to digital. When that date arrives, an estimated 11 million Canadians still utilizing no-cost OTA television will be affected by the end of free TV in Canada. The CBC, for example, currently with 600 terrestrial analog TV transmitters and a nearly 100% reach, expected that the 27 digital transmitters it planned to have in place would reach fewer Canadians (approximately 90%) by the end of 2012. It will be a significant symbolic marker in the development of television broadcasting in Canada, as the system shifts from being one which frames free television as an essential national service to being one which emphasizes the provision of television as a commodity. David Ellis, Evolution of the Canadian Broadcasting System (1979); F. W. Peers, The Public Eye (1979). PlaybackThe website for "Playback," provides the latest news and career opportunities in Canadas production, broadcasting, and interactive media industries. Subscription required to access full text articles. Marshall McLuhan Watch a Heritage Minute about the visionary media guru Marshall McLuhan, who foresaw the impact of new electronic communication systems on human society, culture, and the economy. From Historica Canada. Check out the learning resources related to this story. Glossary: TV NewsA glossary of TV news terms, jargon, and slang. From the website for the School of Journalism, University of King's College. FRIENDS of Canadian BroadcastingAn independent, Canada-wide organization that supports quality Canadian programming in the Canadian audio-visual system. FRIENDS is not affiliated with any broadcaster or political party.